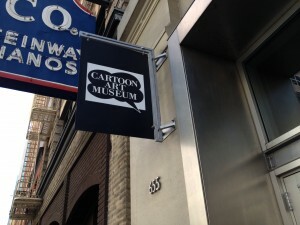 During a trip to San Francisco last week I had an opportunity to visit the Cartoon Art Museum. Established in 1984 it is one of the longest standing facilities dedicated to the genre. And it is the only museum in the western US devoted to the preservation and exhibition of all forms of cartoon art. The permanent collection of the museum consists of over 6,000 pieces of early newspaper strips, original comic book pages and animation cels. They also host nine to twelve major exhibitions annually as well as lectures and classes for children and adults. The museum also features a research library. 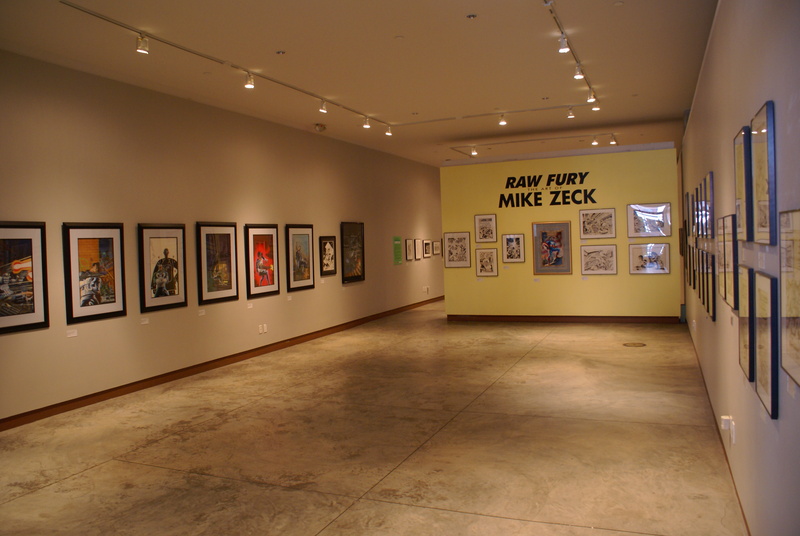 Special Exhibits on display during my visit included, Pretty In Ink: The Trina Robbins Collection, Teenage Mutant Ninja Turtles and Raw Fury: The Art of Mike Zeck. All were outstanding. 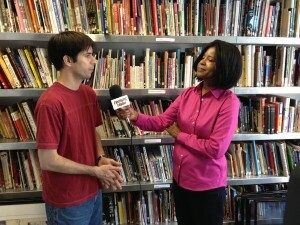 And I was fortunate to work with very talented journalist, Daphne O’Neal. 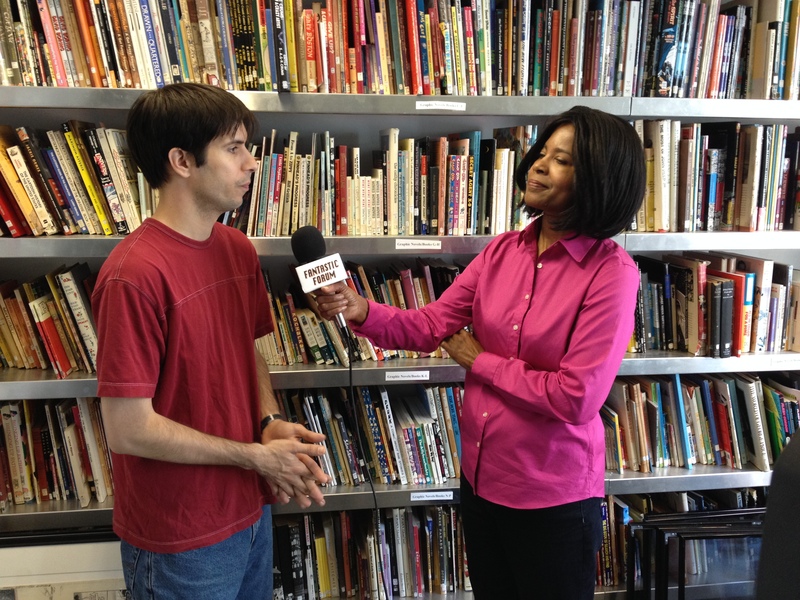 Daphne conducted the interviews with Summerlea Kashar, executive director of the museum and curator Andrew Farago. 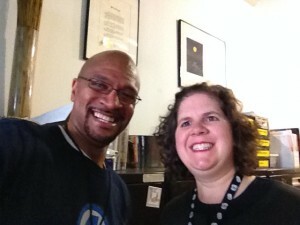 You’ll see her fine work on an upcoming episode. I was in my element in the museum’s gallery. 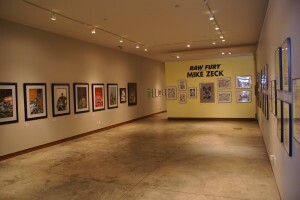 They have a great collection that any fan of cartoon art should see. 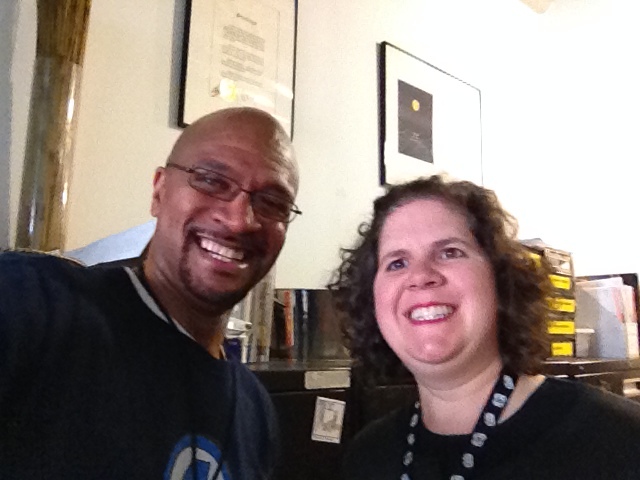 And I had a blast talking comics and cartooning with Summerlea and Andrew. They are fine custodians of this remarkable facility. I’m already looking forward to my next visit. And keep watching, the best is yet to come!